Some people prefer the harder path to the end result. That's the best way to describe Austin. He earns every pound of muscle and takes nothing for granted in the weight room! My journey started during my freshman year of high school. I'd always been fairly athletic in my youth, playing soccer, swimming competitively, and playing baseball. Although I was athletic, I was by no means muscular. It was my freshman year of high school and I weighed in at a measly 115 pounds. A buddy of mine started doing push-ups and sit-ups every night, so I decided I'd do it too. Eventually, we evolved from this and got a gym membership together at a local gym. I worked out for about a year with minimal results, but then I found this website and started reading about nutrition, consistency, and correct form. The summer after my freshman year, I trained four days a week consistently and started eating more. Every night we'd eat dinner at my house and then go to my buddy's house and eat another dinner an hour later. I started packing on lean muscle and when I came back from summer vacation all of my friends were awestruck. I weighed around 145 pounds and had muscles and abdominals. Hearing their feedback is what got me motivated to always get better. I love the response I get from people who have not seen me in months. By graduation, I was a solid 160 pounds and around eight percent body fat. When I moved to college, I met new people in the gym and always got asked, "When do you compete?" I'd never considered competing before this, but apparently people thought I was in good enough shape to. 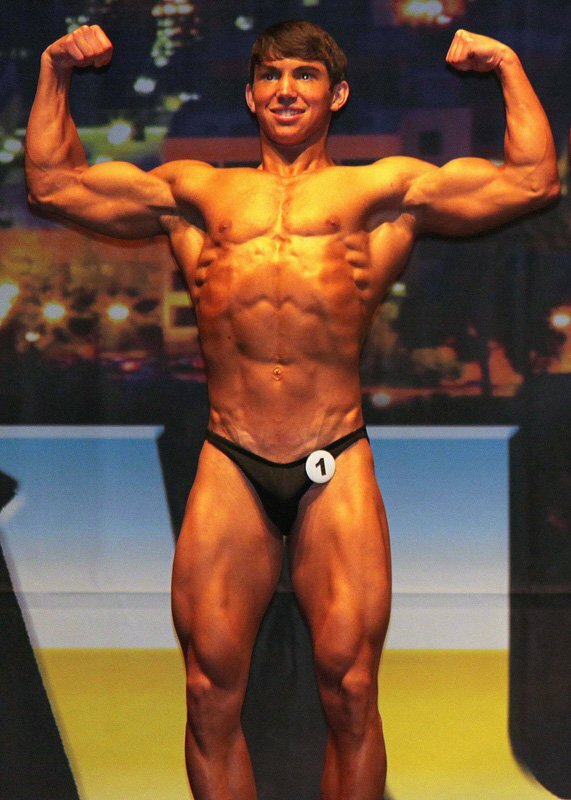 So I decided to sign up for my first competition and get in the best shape of my life. I believe consistency is one of the biggest factors in gaining muscle. I work out five days a week, taking Wednesdays and Sundays off for church. I try to incorporate heavy movements as well as high volume. I feel my body works best when it gets stimulation from both heavy lifting and high volume training to create hypertrophy. Because of the days I rest, I hardly ever get too sore to work out, which helps me stay consistent. I know some days emergencies happen that are out of your control. There is nothing wrong with taking an extra day off, just make sure to stay focused. In addition to this, I usually hit calves three times a week on different days. I did not incorporate this in my program below, but it is something I have recently started doing. I believe nutrition is equally important compared to training and you must give your body the best fuel to run on. During the week, I typically eat the meals as follows. I'll occasionally have a cheat meal, but don't go overboard with it. I also drink at least a gallon of water daily. I typically stay away from milk because it causes me to bloat, but Greek yogurt usually settles well. I make sure to get in a good meal before I workout so I have energy to power through my training. I aim for around 2800 calories to maintain my weight, but during pre-contest I cut this down slightly to lose any extra body fat. I go for a 40/40/20 ratio of protein/carbs/fat. I know a lot of people in the gym look for a special supplement that will give them easy results, but sadly no such thing exists. They are called supplements for a reason. They supplement your hard work and diet to put the finishing touch on your physique. I put on substantial muscle when I was only taking protein. Now I take multivitamins to make sure I'm getting all my daily nutrients as well as a pre-workout supplement that contains creatine, which has really helped me add lean muscle mass. I've always seen great results with the supplements I've used below. You can find them all at the Bodybuilding.com Store. His back shows no signs of weakness. I always want to be better than the day before. I don't ever want to look at myself years down the road and wish I would've worked harder. I also enjoy getting to meet people and hearing different methods of working out and how they've influenced their bodies. There are so many different routines and workouts to try. I like testing new ones and seeing the response from my body. That's the real joy of the sport; you reap what you sow. The results are what keep me going, I love being able to change the way a particular muscle looks through hard work. Most of the time, I'm fully motivated to workout, but if I need that extra push I'll watch videos of professional bodybuilders. There are plenty of motivational videos posted on the forums that help out on sluggish days. 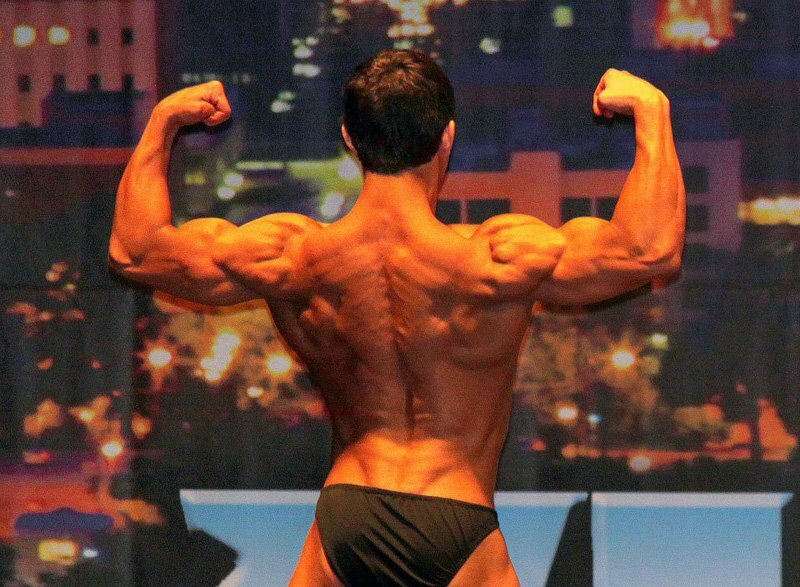 I plan to continue competing in bodybuilding competitions and possibly start fitness modeling. Competitions are an amazing way to meet others who share the same lifestyle. I plan to continue training hard and working on my weaknesses along the way. Enjoy your life, remain positive through everything, and you will persevere. Frank Zane is my favorite competitor. He has the ideal physique that I would love to achieve. His proportions are perfect and he still continues to work out at the age of 70. He's a real inspiration and proof that it is a lifestyle, not a hobby. I first started reading articles, which taught me the basics of nutrition and routines. I buy all my supplements in the Store, which saves me a ton of money. I use the forums as a way to discuss ideas with others to get opinions on diets and supplements. Overall, Bodybuilding.com is an extremely helpful site for everyone, not just beginners.